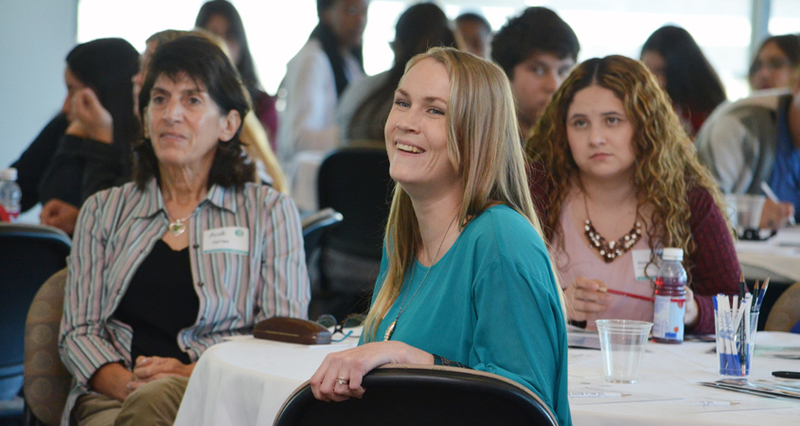 Girls and women interested in learning about career and advancement opportunities in the water and wastewater industry are encouraged to register for the Cuyamaca College Center for Water Studies’ 2ndannual Women in Water – Exploring Career Pathways symposium on Jan. 17. The all-day conference comprises two tracks of speakers: one for women contemplating a career change, military veterans transitioning to civilian life, and women already in the water and wastewater industry who are seeking professional development opportunities; the second for scores of high school girls in the region wanting to learn more about career opportunities as they near graduation. The San Diego County Water Authority’s Deputy General Manager, Sandy Kerl, will be the keynote speaker. Lan Wiborg, Deputy Director of Long-Range Planning and Water Resources for the City of San Diego, will moderate a general manager’s panel discussion that includes Tish Berge, General Manager at the Sweetwater Authority; Cari Dale, Water Utilities Director at the City of Oceanside; and Vicki Quiram, General Manager of the Carlsbad Municipal Water District. Topics of discussion in that and other panels will cover career pathways, the importance of forming mentorships, what it’s like for women to work in what is now a male-dominated field, developing leadership skills, and more. “The Center for Water Studies is playing a critical role in training the next generation of water and wastewater industry professionals, and the Women in Water symposium offers an unparalleled opportunity to gain insights and develop connections that can lead to a rewarding, good-paying career,” said Center for Water Studies Program Chair Joe Young. Water and wastewater treatment plant and system operators in San Diego County were earning an average annual wage of more than $70,000 annually as recently as May 2017, according to the federal Bureau of Labor Statistics. Some 4,500 people are working in the local water and wastewater industry, which is on the verge of seeing a glut of retirements due to an aging workforce. A regional water industry task force headed by the San Diego County Water Authority estimates local utilities will need to fill approximately 400 positions each year just to keep up with retirements and vacancies caused by those leaving the area for better jobs a more affordable cost of living. What’s more, a 2018 Brookings Institution report noted that because the water workforce is dominated by white males, a glut of retirements offers a chance to diversify the industry. Women in Water – Exploring Career Pathwaysis co-sponsored by the California-Nevada Section of the American Water Works Association, the California Water Environment Association, the Association of California Water Agencies, and the San Diego County Water Authority. It is set to get under way at 8 a.m. Among the day’s highlights will be the official dedication of the Center for Water Studies, which opened this fall and which features a renovated complex with new classrooms, a water quality analysis laboratory and a workshop for back flow, cross-connection controls and related skills-based courses. The complex complements an adjacent state-of-the-art field operations skills yard that opened last January with an above-ground water distribution system and an underground wastewater collection system aimed at providing students with the kind of challenges they will face in today’s complex water and wastewater facilities. An open house of the facilities takes place at 1:15 p.m. Registration for the Women in Water – Exploring Career Pathways symposium can be completed via Eventbrite or through the Center for Water Studies website. Cuyamaca College and the Center for Water Studies are at 900 Rancho San Diego Parkway in Rancho San Diego, 92019. Up to 200 people are expected to attend the event. Cost is $25 per person; high school students are free.